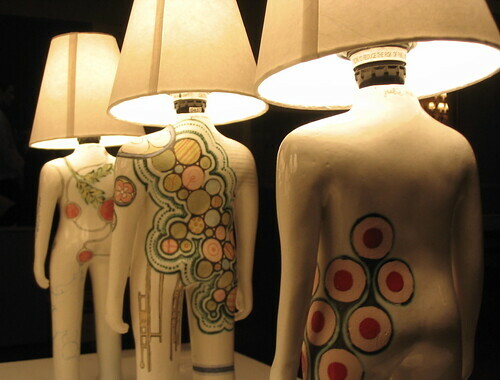 Lamps are pretty simple pieces of furniture, yet their effect on a room can be considerable. 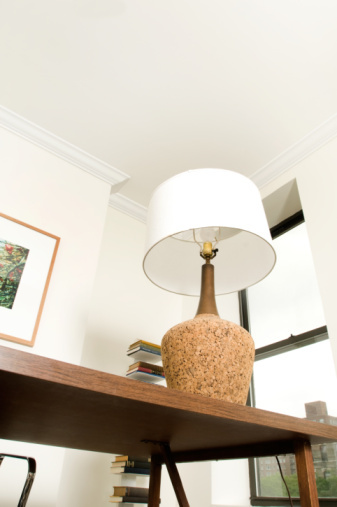 Not only does a lamp provide light, but a tasteful design will add to any room's decor. If you're looking to repair a lamp, or build one of your own, these are the basic parts of any lamp. Without a source of light, it's just not a lamp. Most lamps and light fixtures use standard 100 watt, 120 volt light bulbs. This isn't the only style of bulb available. Newer energy efficient bulbs are actually compact fluorescent tubes which use less energy and lasts 8 to 15 times as long as a standard bulb. Halogen bulbs also offer improved efficiency and life over conventional bulbs. Decorative bulbs are often used to add atmosphere to a room, and may be shaped or colored to achieve this end. Decorative bulbs include candle bulbs that imitate a the flame of a lit candle, round globe bulbs, which offer an aesthetically pleasing change from the standard pear shape, and novelty bulbs which feature painted designs or unique shapes. In order to activate the light bulb by closing the circuit, a switch is used. This switch may be built into the lamp as an integral feature, or it may be separate, mounted in a nearby wall. Though all lamp and light switches work by closing the circuit loop, there are several varieties of switch, with varying functions. Push-buttons, toggle switches and rocker switches are all examples of switches with only two positions, on or off. Other styles, such as dimmer switches and variable brightness knobs, offer varying levels of light, as determined by the operator. These are especially useful for lamps that serve as both reading lamps and light sources for a full room. One unique style of switch, seen almost exclusively in lamps, is touch activated. These unique devices utilize the capacitive quality of the human body, and are activated merely by touching the base of the lamp. Such lamps usually have multiple brightness settings, similar to a variable brightness knob. The lampshade shields people's eyes from the brightness of a lit bulb. Lampshades come in a variety of designs and styles, fashioned from materials ranging from fabric and plastic to glass and metal. The lampshade may be an integral part of the lamp, or it may be a separate piece, attached to a shade stand. When attached to a stand, many lamps use a decorative knob, called a finial. The lamp owes most of its physical form to the base. Bases may take the form of simple stands or ornate ceramics, they may be simple solid pieces or complicated hinge mechanisms. Like the lamp shade, a lamp's base is both functional and aesthetic, and may be made from almost any material. A lamp's power is generally supplied by a simple cord that connects to an electrical outlet. Others, particularly light fixtures that are installed on a wall or ceiling, wire directly into the electrical system. Some portable lamps, such as camp lights and flashlights, utilize batteries as their power source. Others, such as emergency flashlights or garden lights, use power generated from a crank generator or solar cells. What Is an Uno Lamp Shade?